When you’re missing a single tooth, multiple teeth, or all of your teeth, it can be a struggle. It may affect your self-esteem or make it more difficult to eat some of your favourite foods. 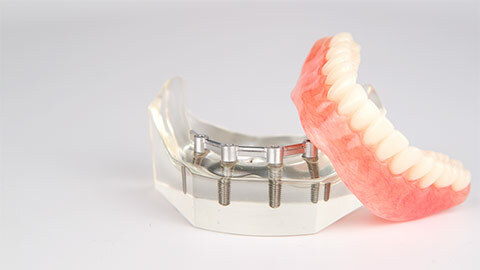 Dental implants are a comfortable, long-term solution that can drastically improve your quality of life. 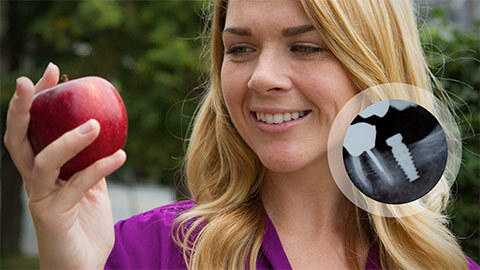 These simple titanium implants are secured into your jawbone, and take the place of natural tooth roots. Once we’ve attached a custom crown, you’re left with a tooth – or an entire smile of teeth – that feels and looks like a natural part of you. At Avenue Dental, we encourage our patients who are missing teeth to talk to us about their options – and about what may happen if they choose not to do anything about their missing teeth. Many patients are surprised to learn that the shape of their face can be altered by missing teeth – due to the jawline breaking down and teeth shifting – making them look older. It can also cause further problems in terms of chewing and speaking. If you’re missing teeth, we hope you come in to Avenue Dental to talk to us about Toronto dental implants. We’ll work with you on a solution that fits your needs and your budget. 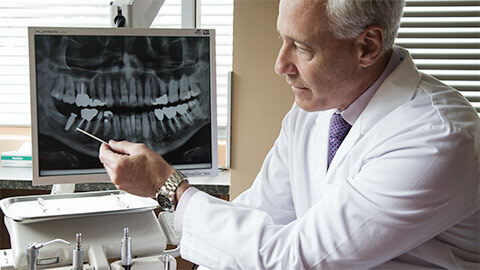 If you need more information about Dental Implants in Toronto, contact us today.